New Vegetable Guidelines for Healthy Eating! Choose any vegetables, or 100% veggie juice. Veggies may be raw, cooked, fresh, frozen, canned, dried, and may be whole, cut-up or mashed. Veggies are divided into subgroups called dark green veggies, Red and orange veggies, starchy veggies, beans and peas, and other vegetables. The recommended dietary guidelines for vegetables needed daily ranges from 1 cup for a small child to 2 1/2 to 3 cups a day for adults. I would say when it comes to veggies, that there is no limit. Eat them to your heart’s content! 1 cup of vegetables is equivalent to 1 cup raw, 1 cup cooked, 1 cup juice, or 2 cups of raw leafy greens. The health benefits for following the vegetable guidelines are: a reduced risk of heart disease and stroke, protection against certain cancers, reduced obesity and diabetes, lowered blood pressure, and reduced risk of kidney stones and bone loss, and filling up on lower calorie foods which will help with weight control. Buy fresh veggies in season. You will receive the best price and flavor. Frugality is Fun! Stock up on frozen veggies! Buy easy to prepare veggies that are pre-washed, pre-cut, or grab and go. Stir-frying is a quick and delish way to prepare most vegetables! Leave them crispy. Vary your veggie choices and eat a rainbow of colors. 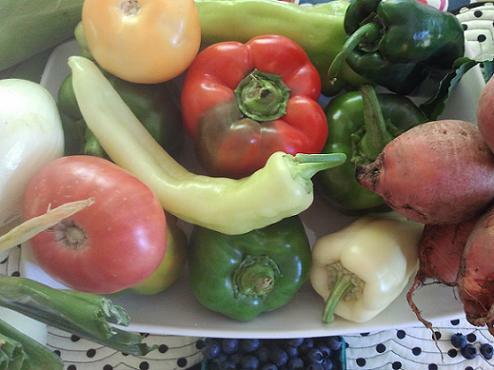 Each colorful vegetable contains different phytochemicals! Try crunchy veggies raw or steamed. Select veggies with high potassium levels. Check the nutritional label when buying veggies in sauces, and do not buy high sodium choices! Fresh veggies are low sodium and processed ones are can be full of salt! Buy lower sodium canned varieties. Plan veggie main dishes and healthy soups. Eat salads for lunch and dinner. See my Super Salad Meal Chart! Shred carrots and zucchini into meatloaf, casseroles, breads and muffins for stealthy healthy cooking for your picky eaters! Chop veggies in sauces and top pizzas with them. Add beans and peas to meals. Keep cut up veggies on hand for healthy snacks. Parents be sure and eat your veggies as an example to your kids. See Healthy Kids! Let kids choose which veggies to buy and serve and let them help in the preparation. Allow kids to choose new veggies to try and encourage adventuresome choices. Beans and peas can be considered as a protein also and contain lots of fiber. Keep veggies separated from all raw meats to avoid contamination. These are the vegetable guidelines that you should aim for daily. 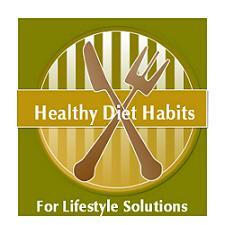 It is a great lifestyle solution to add more vegetables to your meal plans on a consistent basis. I would also suggest that you buy organic vegetables whenever possible, especially for the veggies that are the most pesticide laden. They are called the "Dirty Dozen." Also, be sure and always overeat your vegetables! You can never have enough! Your Mom was right! Be Sure and check out my Healthy Vegetable Recipes!